After a slight hiatus, Pencil In Hand regular posts are back! 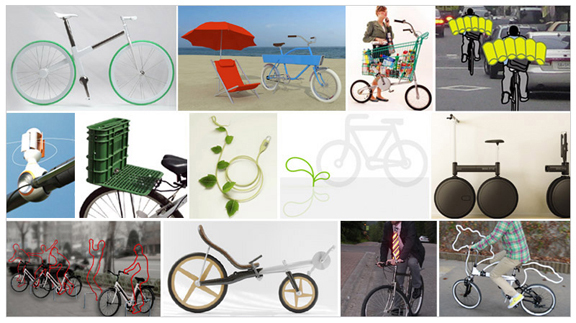 Earlier this week I had a chance to feature a really cool project called the Bike Hanger designed by MANIFESTO Architects on ArchDaily. 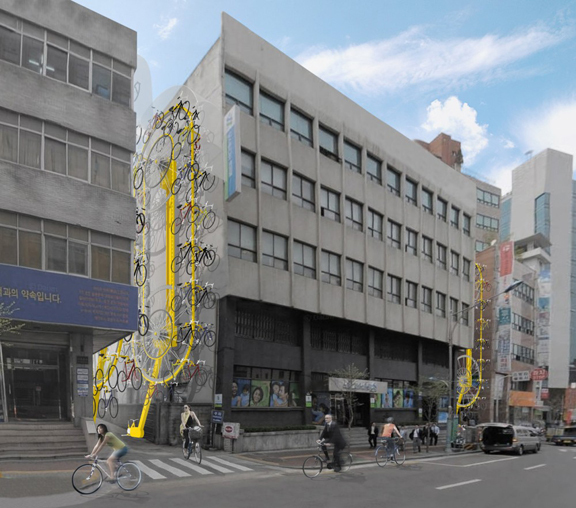 I personally loved this project, the bright yellow structure, the utilization of space between buildings, the creation of vertical storage, and materials and power needed are recycled and human pedal power. In an interesting turn of events, later that same day I learned that the Titanium Building issued a statement notifying bicyclists that they would be banning bicycle parking on their property for cosmetic reasons! And on top of that, they will not be installing any bicycle parking of their own. In a high traffic bike area, especially for week day work commuters, this seems like an ideal opportunity to create a visually interesting bicycle storage, however I guess to some surprise the design of the building in the first place is quite lacking and seemed to disregard site orientation and any type of streetscape/pedestrian presence. Santiago seems to be continually taking one step forward and two steps back when it comes to bicyclists. Unfortunately there is still a long way to go when it comes to provide safe bikeways, storage, and therefore encourage more bike commuters rather than car commuters reducing air pollution. Apparently they are a bit confused here!